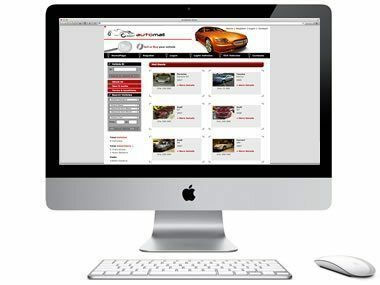 Our Car Dealer web solutions is a complete on-line stock and sales system for car dealers, auto malls and any other vehicle sellers. For those who already have a simple website, this can be an extra technology to the existing one to sell and manage the car stocks, letting buyers search vehicles with the search tool. We have the right solution for car dealers and auto malls web systems. Take advantage of our complete car stock and sales system and start selling today! With an online listing tool, you will save costs on magazines, newspapers, and other advertisements and having the latest updated car stocks online, and always updated 24h/day. Normal and Featured Listing (better deals on top). Vehicles by Category > Make > Model(e.g. 4×4 > Toyota > Land Cruiser). Multiple daily updated currencies: AED, USD, EUR, GBP. Multiple Administrators, Managers, Salesmen, Users. Direct contact between seller – buyer. General Content Management System (CMS). Basic and Advanced Statistics to track your page visits. Payment Plans for advertisement (Credits). 24h/day Management of your web system. Extras and other features can be added (optional). If you would like test drive this product we will be happy to give you the administration access. Our solutions fits all budgets and needs. Know how to rent the website as a service. NO large upfront fees. EASY monthly instalments.